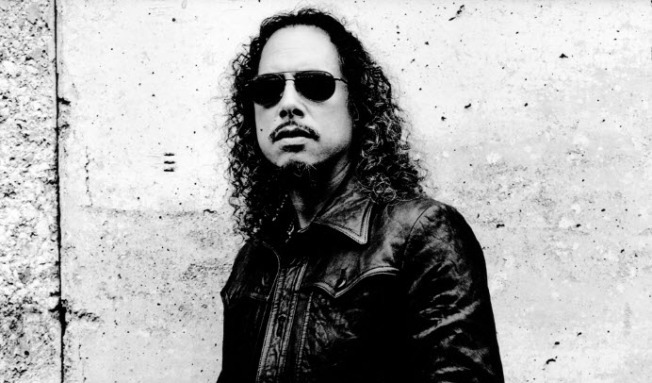 Devoted fans of Metallica know of guitarist Kirk Hammett's love of the horror genre and its influence on the legendary Bay Area band. Now Hammett is opening up about his other great love with his first book Too Much Horror Business — The Kirk Hammett Collection, due out on Abrams Image in October. It will be a large coffee table book that includes 300 images of Hammett's memorabilia and photography from film sets as well as an exploration of why horror has been a lifelong passion. Hammett calls it a "gift to all the other horror nerds out there who are like me." A collection of toys to tie in with the project will also be released in October. Hammett hasn't given up his day job — Metallica is set to perform a headlining set at the sold-out Outside Lands on August 11 in Golden Gate Park. But Hammett's next tour will be a book tour; he'll make an as-yet unscheduled stop at a local bookstore in the fall.